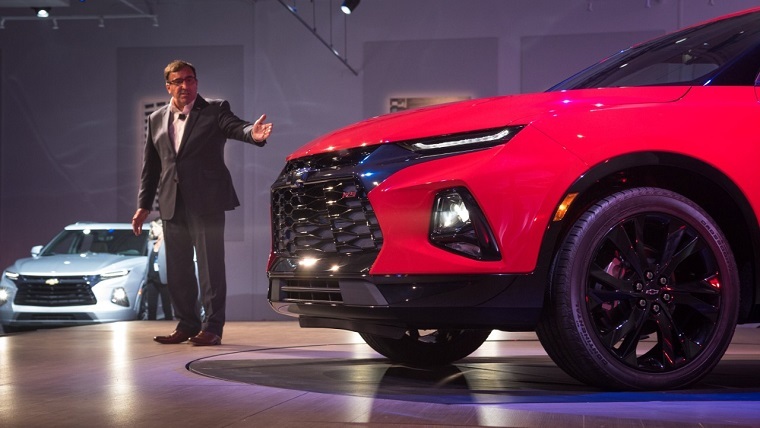 Due to a growing demand for new crossovers and SUVs, Chevrolet could not have picked a better time to introduce its latest model: the 2019 Chevrolet Blazer. The release of this model may be closer than many analysts had originally expected. Indeed, production of the Blazer has reportedly commenced at GM’s Ramos Arizpe Plant in Mexico. Early 2019 is a rather vague release date for the Blazer. Still, several sources have stated that the Blazer will be released in the U.S. by the end of January. As of right now, the GM Ramos Arizpe Plant is the only location for the Chevrolet Blazer’s production. However, reports suggest that production of the Blazer will also take place at one of the GM’s Chinese plants, with the possibility of a three-row Blazer also being built there. Currently, the Ramos Arizpe location also houses production of the Chevrolet Cruze’s hatchback model. With GM set to discontinue the Cruze sometime next year, Cruze production at the Mexican plant will also come to an end. GM will reportedly allocate the manufacturing capacity set aside for the Cruze towards building even more Blazer vehicles. American consumers have been chomping at the bit for the newest Chevy crossover. With production officially underway, the won’t have to wait much longer to purchase the 2019 Chevy Blazer.